1. Handmade Cards – We’d be remiss if we didn’t include handmade cards in our post about homemade Valentine’s Day gifts from kids. Cards are the backbone of this holiday, and everyone deserves a special card from the kids in their lives. You and your kids can get incredibly creative with the cards you make, but some of our favorites include this 3D heart card, these super cute portrait cards, or even these painted rock gifts. We’ll warn you – it will be hard to choose just one kind to make this year. 2. 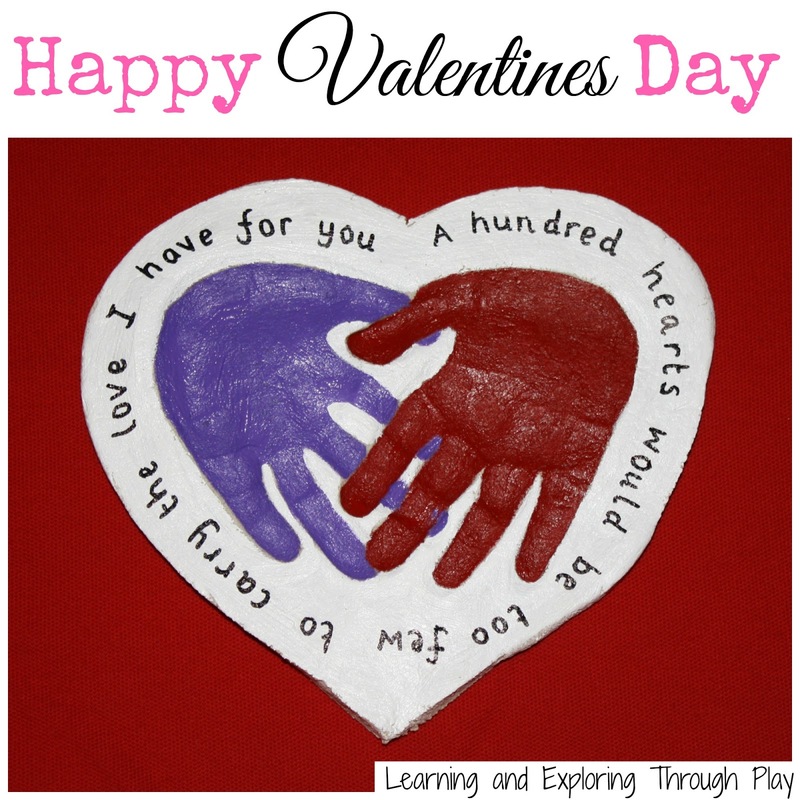 Salt Dough Valentine’s Day Keepsake – With this salt dough recipe, from Learning and Exploring through Play, you can create nearly any keepsake you can dream of, including wonderful homemade Valentine’s Day gifts from kids. The sky’s the limit with salt dough. You can make their little feet or handprints into the shape of a heart, use their fingertips to create smaller hearts, or even make a kid-decorated frame out of the dough. As you experiment with the dough, you’ll find all sorts of ways to make a cute a keepsake for grandparents, parents, and caretakers that the whole gang will enjoy making. 3. Love Bugs – Let your kids’ imaginations run wild with this fun and thoughtful idea for Valentine’s Day gifts from kids – Love Bugs from Rhythms of Play! 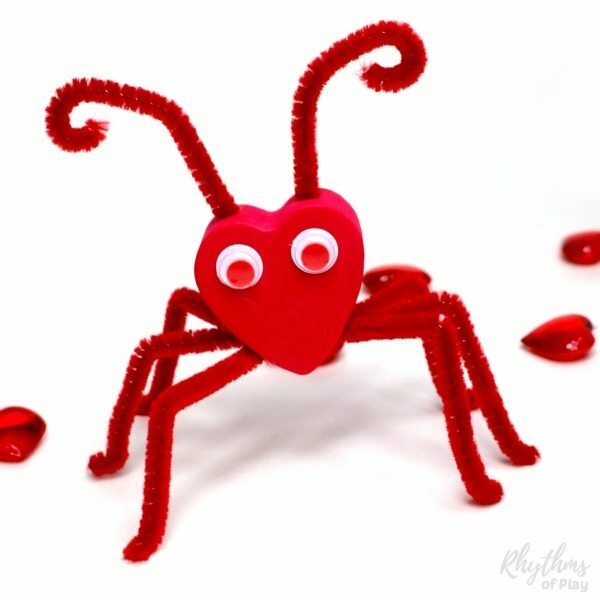 Get out the pipe cleaners, construction paper, googly eyes, and paints to create these fun little bugs that are perfect for teachers, parents, and caretakers. Love Bugs can be made out of nearly any kind of crafting material you have around the house, including yarn, cups, popsicle sticks and more. Check out a whole list of ideas here. Let your kids design their own bugs and attach them to the cards or candy you’ll be handing out. 4. Coffee Filter Hearts – Have your kids done a coffee filter art project yet?! If not, what are you waiting for? This is one of the easiest and most fun art projects out there – and it’s perfect for making homemade Valentine's Day gifts from kids this year. For the coffee filter hearts project, all you need are regular coffee filters, markers, an eye dropper, and some scissors. 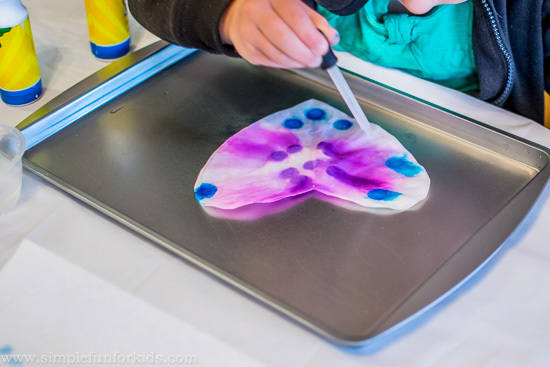 Have your kiddo draw on the coffee filter with markers first and then use an eye dropper with a bit of water to make the ink dissipate in the most beautiful ways by squeezing a drop of water here and there. Once it dries, cut out hearts and glue them to your gifts or cards. Easy as that! 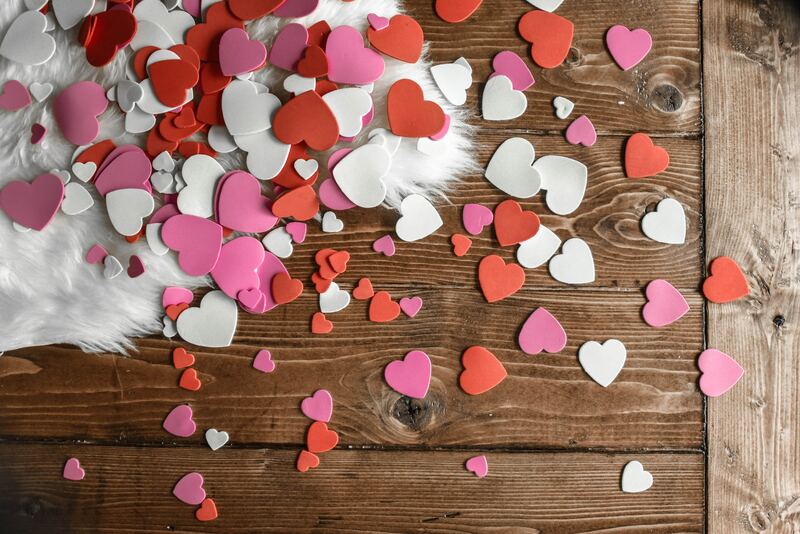 Valentine’s Day is one of our favorite holidays, and we’re so excited to see what you and your kids come up with this year. Take a picture of your homemade Valentine's Day gifts from kids and share it on our Facebook page. We can’t wait to see how creative you all are! Looking for other unique gift ideas? Look no further than Birthday Keepsakes for personalized birth, wedding, and family gifts for everyone in your life.